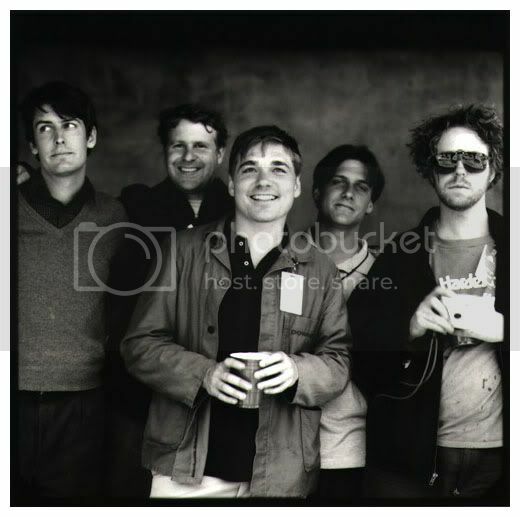 Never Mind The Mainstream on KUR (College Rock Radio): Pavement To Reunite! We usually don't report on rumors (yes we do) but since Brooklyn Vegan reported this yesterday and Pitchfork and Stereogum have posted it, we figure if it's false blame, it can fall on those guys. However, the word on the 'nets is quintessential 90's indie band Pavement is reuniting for possibly 4 shows, although the first one wouldn't happen until this time next year. After releasing five studio albums in the 90's (including two of the decade's best with Slanted And Enchanted and Crooked Rain, Crooked Rain) the band officially split in 2000. Ever since, fans have been clamoring for a reunion, even The National mentioned it in the lyrics for their 2009 track "So Far Around The Bend" ("You've been humming and I think it's forever/praying for Pavement to get back together"). Now it seems it has actually come true. Let's just hope The Smiths are next. Pavement - "Cut Your Hair"